The Pedrera Coffee Table is an organically shaped coffee table consisting of an undulating bent steel frame profile holding a sculptural glass tabletop. Designed by Francisco Juan Barba Corsini in 1955 as part of a transformation of the attic of Antoni Gaudí’s Casa Milà, the Pedrera Coffee Table similarly celebrates the movement of twisting and meandering lines. The Pedrera Coffee Table has a height of 15” | 38.1 cm, length of 42” | 106.7 cm, and width of 35” | 89 cm. The steel frame is either powder-coated or brass-plated and supports a tempered glass surface. What is the Pedrera Coffee Table? The Pedrera Coffee Table is an organically shaped coffee table consisting of an undulating bent steel frame profile holding a sculptural glass tabletop designed by Francisco Juan Barba Corsini (1955). 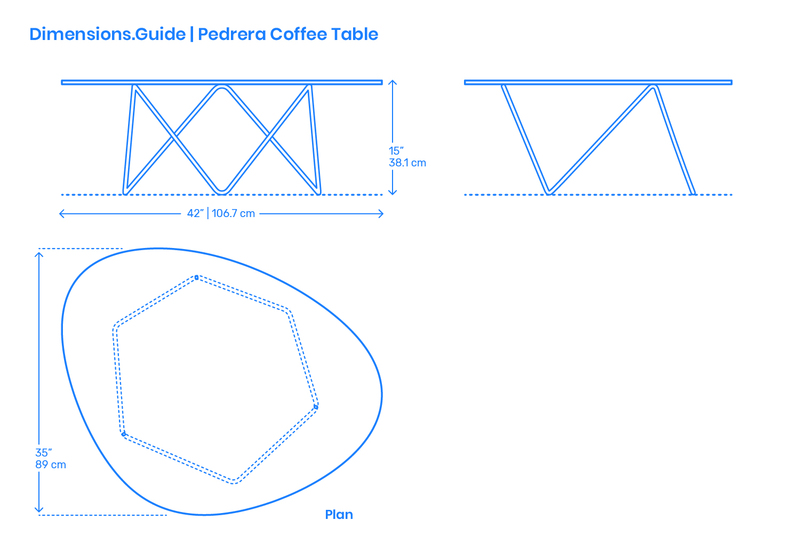 How big is the Pedrera Coffee Table? The Pedrera Coffee Table has an organic tabletop with a length of 42” | 106.7 cm, width of 35” | 89 cm, and an overall surface area of 7.7 ft2 | .7 m2. What height of sofa should be paired with the Pedrera Coffee Table? The Pedrera Coffee Table has a tabletop height of 15” | 38.1 cm and should be paired with sofas with seat heights between 15”-17” | 38-43.2 cm.